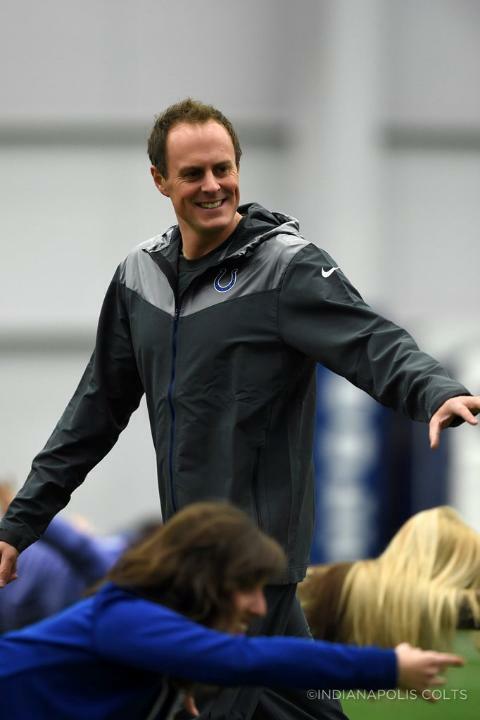 Interview with Sean Bartram – ex professional soccer player, Tracy Anderson former head trainer, and official trainer to the Indianapolis Colts Cheerleaders. Trndy Indy took some time from consuming all of Indy’s most delicious eats to burn some of those “cals” off with Sean Bartram. 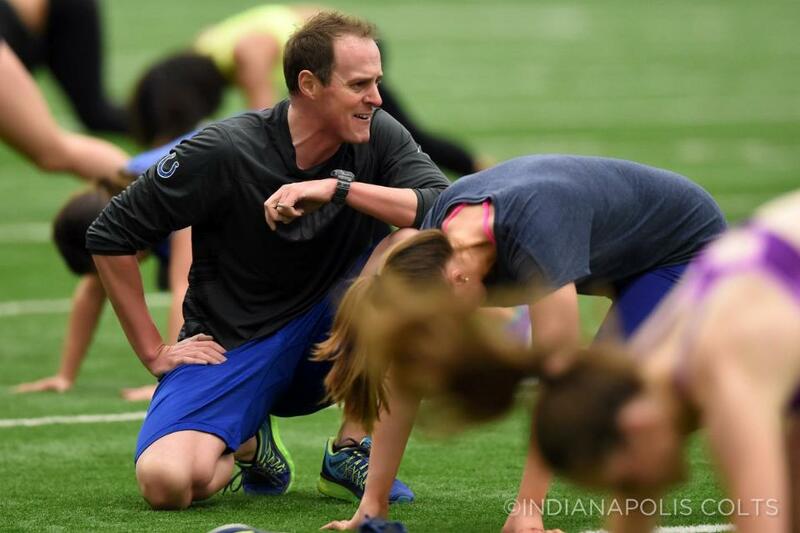 Sean is the owner of Core Pilates and Fitness in Carmel, author of the newly released book High Intensity Interval Training for Women (found on Amazon), and official trainer to the Colts cheerleaders. Portsmouth, England born, Sean and his ever-charming accent were kind enough to sit down with us for an interview! The former professional soccer player came to the US to play the game and most recently represented Indianapolis on the Indiana Blast soccer team. His athleticism led him to eventually become the head trainer for Tracy Anderson in LA who famously has trained the likes of Madonna, Gwyneth Paltrow, Nicole Richie, etc. We tried to play it cool when he mentioned this, but are certain he noticed our drooling. He has also led the physical development of athletes from the Indy Car Series, NFL, NBA, MLB and MLS. Why are his workouts such a HIIT with the athletes (see what I did there?)? According to Sean, the workouts require multi-planar motion that balances stability. Athletes are required to fight g-forces in a race car or be jostled by 300 pound men for a ball in a football game. Core workouts mimic this kind of movement and resistance. This combined with working many different body parts and HIIT (and its best benefit- burning body fat 9x better than steady state cardio) make for a perfect secret sauce for the world’s greatest athletes. Sean’s studio- Core Pilates and Fitness- is host to one of Indy’s most exciting, exclusive and versatile blend of classes. They boast class titles such as SORE which is their trademarked fusion class that alternates between Reformer, TRX, SandBell and body weight resistance training and Surfset done on an RipSurfer X board and is designed to engage your core & stabilizer muscles and shock the system to create real change inside & out. With his high power clientele and these funky classes, you might think one would be intimidated by entering such a cool place and working with such a legendary guy. Walking into Core is anything but! You are immediately greeted like you’ve been there 150 times before. The walls are lined with motivational quotes, sports paraphernalia, twinkling Christmas lights, and pictures of happy, fit looking people who have worked with Sean and his team. You’re immediately mesmerized and motivated by the atmosphere and community feeling of the “regulars”. They all clap, laugh, and get each other pumped up for the class. Any class we’ve taken at Core has had an incredibly positive trainer leading you through the unique but challenging movements. 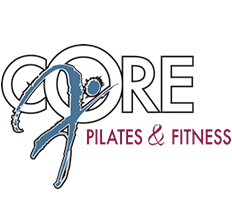 Core’s philosophy is to “Keep the body on its toes. Do workouts that are ever-changing and confuse the body. Don’t allow it to settle into a steady state.” There is no greater feeling than the end of a Core class whether it be a sweaty HIIT routine from Sean’s new book or the reformer-driven SORE, when you know you have trained like a true athlete. It is well worth the trek to Carmel. A few classes with Sean and the Core team, and you’ll be proud to be seen out on Geist next to the soccer moms in no time! They’ll have nothing on you. Summer, here you come.